Iron Man is equipped for S.H.I.E.L.D. missions in any climate, because having a high tech suit of armor at your disposal lets you go wherever you need to go. 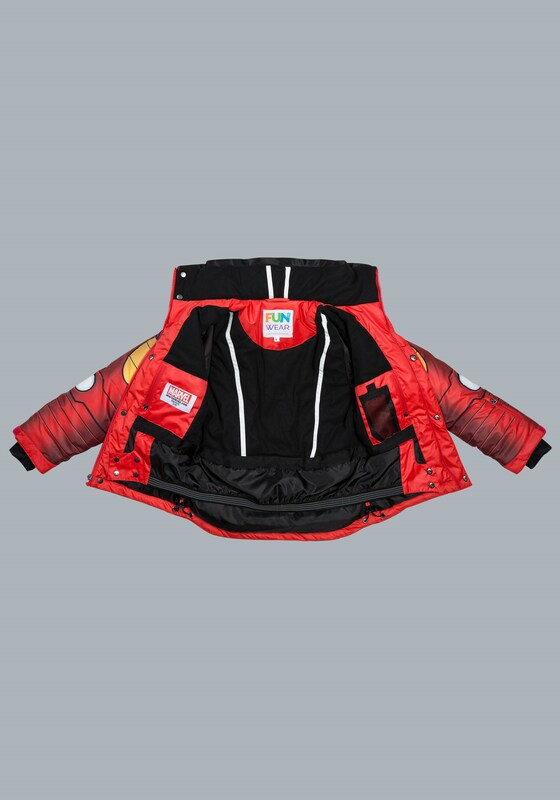 But your little super hero in training? 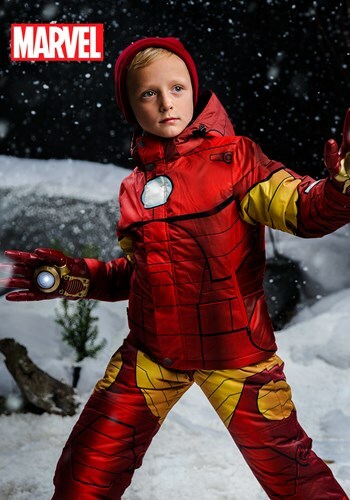 Unless he's been studying at Stark Laboratories after school, he's probably going to need some serious gear to tackle the inclement weather that comes around every year. 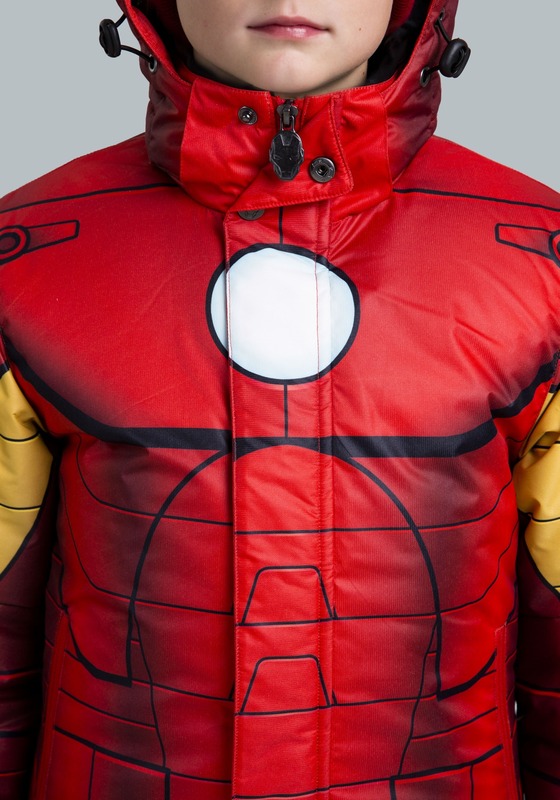 And if, like Tony Stark, he'd like to take on those nefarious winter elements in style, then we've got the exact thing he needs to suit up. 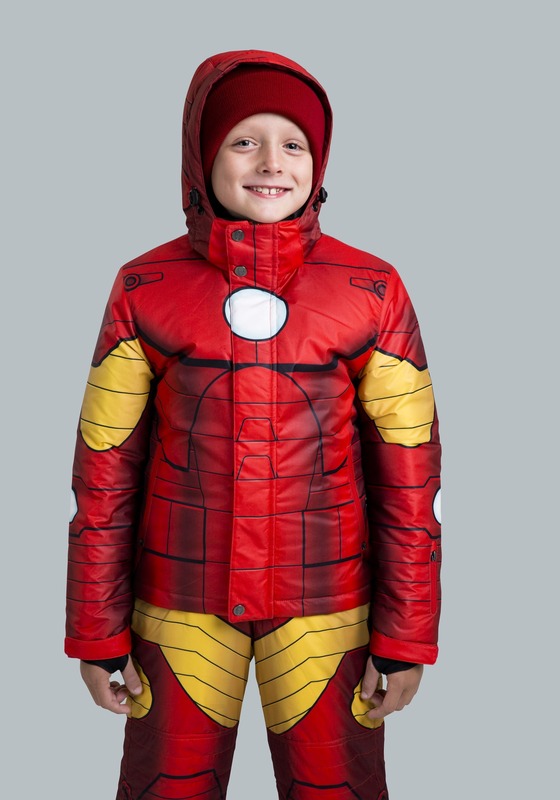 Introducing this specially designed Iron Man snow jacket for kids, the latest in our line of FUNwear. 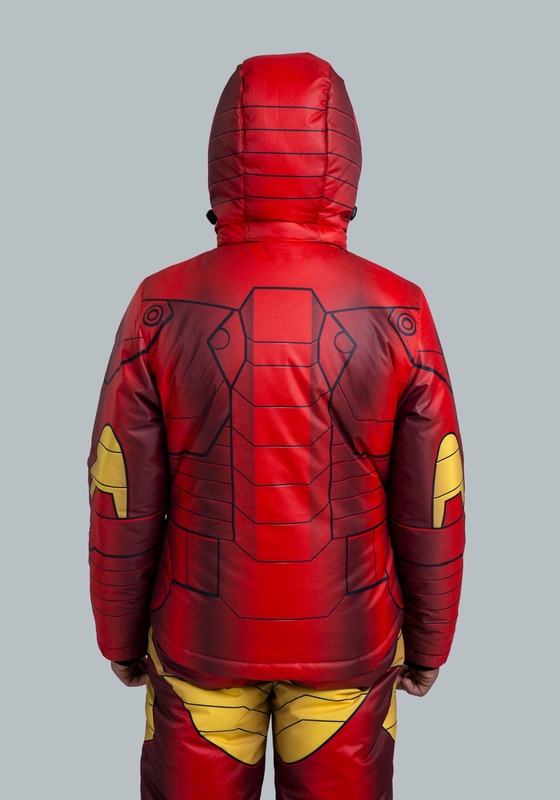 We've teamed up with Marvel Entertainment to bring your child this officially licensed ski coat, featuring an all over print that recreates the iconic style of the Iron Man suit seen in the classic films and comics. 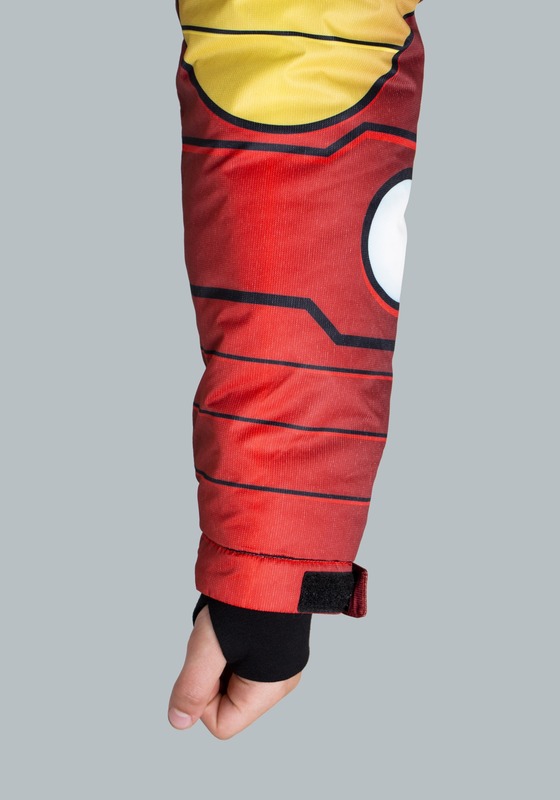 When combined with the matching snow pants (sold separately) you'll form a protective suit designed to defend against the world's worst villains, as well as the world's worst climates! 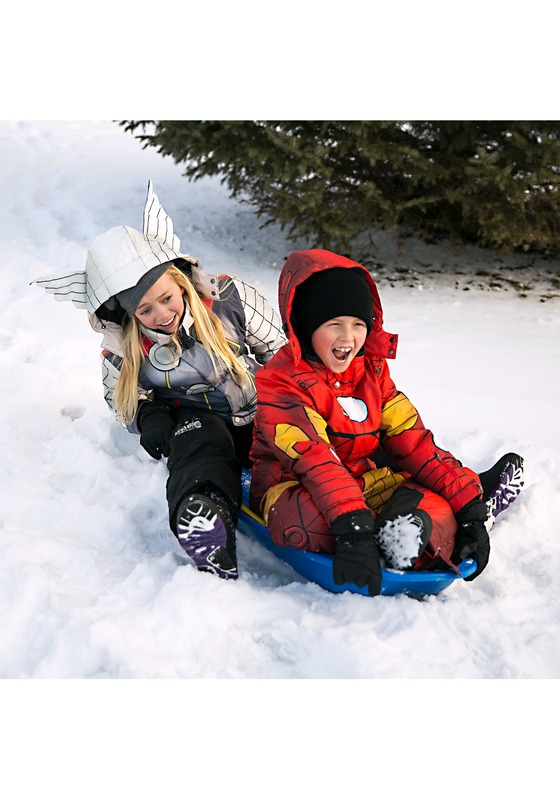 With a slick all over print making it look like he's become Iron Man, your little hero will feel extra confident when he's trudging through snowy sidewalks or measuring up the drop on the sledding hill. Featuring a fleece liner and mid-weight synthetic insulation, it's the perfect combination of warmth and comfort for any athletic outdoor endeavors. 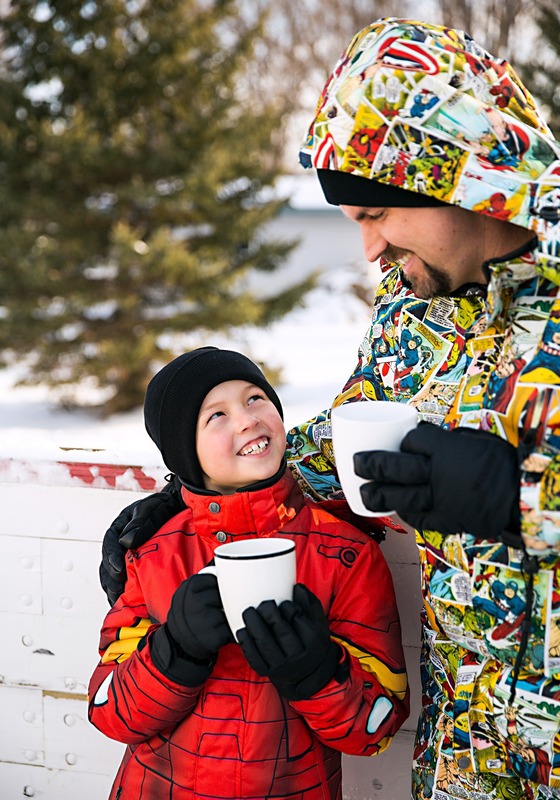 Ski outfitting like removable hood, zippered pockets, snow skirt, and wrist gaiters will have him ready for action, whether he's preparing for a frozen fracas or just building the Avengers a new snow base! Signature logo debossed Iron Man logo buttons and helmet zipper pull provide the finishing touches for this stylish and unique jacket. Now that you've found the right gear he'll be ready to take on any challenging winter mission S.H.I.E.L.D. has to dish out! Custom Iron Man zipper pull. Custom Iron Man logo debossed buttons. Ski pass pocket on left arm. Zipper closure with snap-button placket. Wrist gaiters with thumbhole on comfort cuffs.